Summer is the ideal time to become an effective speaker. We offer three types of summer programs each year to young people ages 8-18. All of our programs emphasize team-building, fun, and multiple styles of communication to help students find their voice. Our camps draw students from across the Bay Area and result in community performances. 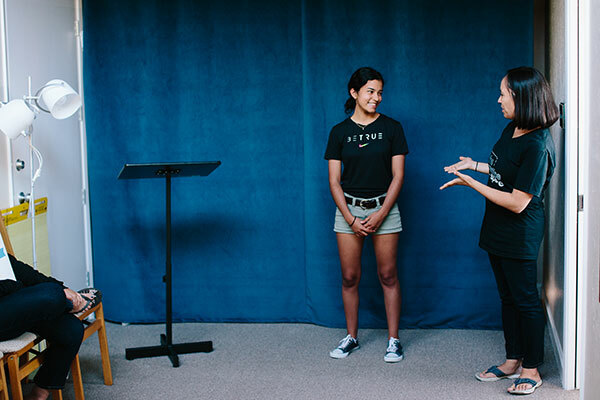 The Practice Space Summer Camp (middle & high school students): Students focus on storytelling, debate, monologues, and issue speeches. Competitive Debate Intensive (high school students): Students focus on parliamentary-style debate, argumentation, and spontaneous speaking. 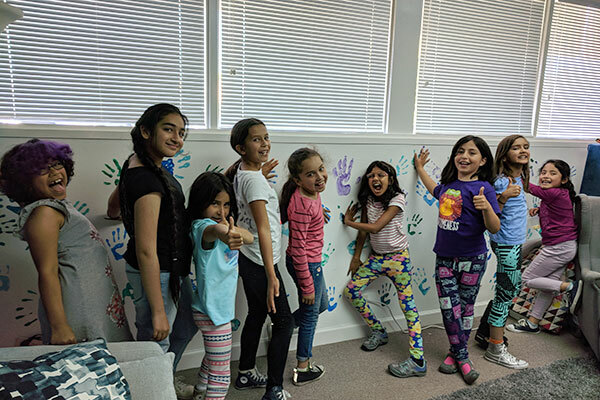 Young Speakers Camp (ages 8-11): Students focus on confidence-building along with presentation, performance, and spontaneous speaking skills. Registration is on our events page (typically open in February of every year). Communication is an important part of speaking up for others and serving the community. 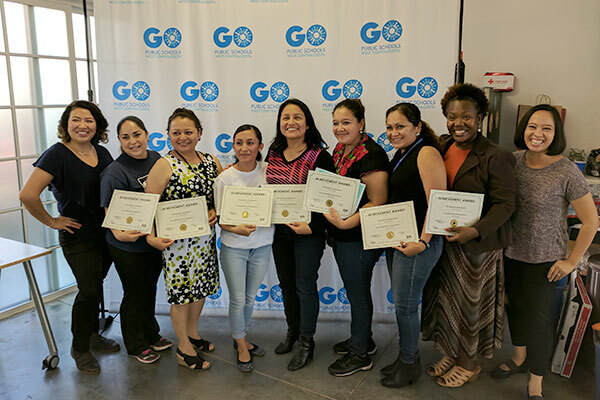 We partner with local non-profit organizations to offer public speaking training sessions to help you refine your message, communicate with the public, and feel confident sharing your message. A coach from The Practice Space will visit your organization and lead a program customized to your team’s goals. Contact us to schedule an introductory consulting call. Specific public speaking goals require in-depth personal attention. We offer low-cost private lessons to both youth and adults to help meet personal and professional goals. This option serves everyone from the beginning speaker looking to reduce anxiety to the seasoned professional who wants to polish an upcoming presentation. Personal coaching is scheduled by appointment – contact us. You don’t have to become a good public speaker alone. We offer free practice clubs to youth and adults to improve their public speaking skills in a supportive group setting. 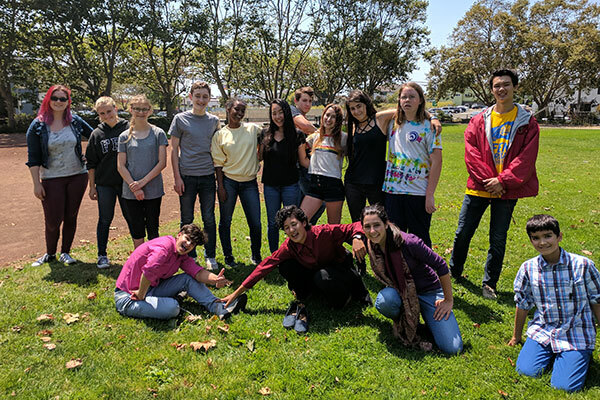 Distinguished Youth Speaker Team (middle & high school students): Youth learn to communicate effectively about issues they care about in local Bay Area events. Young Speakers Club (ages 8-11): Young speakers build their confidence and present their ideas through speeches, monologues, and stories. YourSpace Club (adults): This is a monthly practice club for storytellers, comics, improv, and spoken performers to rehearse for Bay Area events. Youth Voice Advocates Team (adults): This training program is for adults who want to coach young people and advocate for youth voice. Register as a member on our events page.